With consumer expectations on the rise, it’s never been more important to offer a seamless shopping experience both in-store and online. This is especially true over the holidays, when seasonal shopping raises blood pressure faster than a honey ham. What can retailers do to be a part of the solution? Kelton’s latest holiday survey exposed critical pain points consumers face today while shopping for gifts. Download the infographic to learn more about what’s causing consumers stress when they buy gifts for loved ones, and how retailers can help bring more cheer to the holiday shopping experience. This custom infographic was designed and produced by Kelton’s Communications team. Kelton designs consumer surveys to help brands and PR agencies generate compelling headlines for media outreach and internal communication. Our studies are expertly crafted to give you the best headlines in mind, and our infographics illustrate the most newsworthy findings from your study, garnering maximum media attention. This holiday survey was conducted for Kelton’s promotional use and is just one example of our infographic design capabilities. Thanks for downloading. 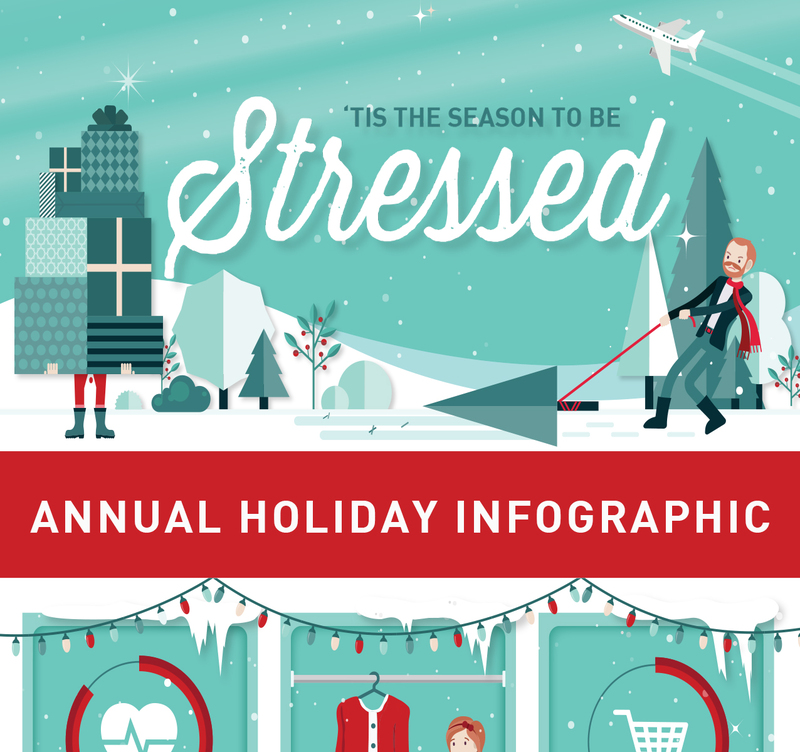 Click below to access your copy of our Holiday Infographic. Enjoy!